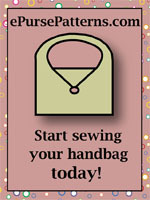 Shipping, Returns & FAQs : HenriettasHandbags.com, Divine Bags for the Diva in you! For USA delivery, packages weighing more than 13 ounces are shipped via USPS Priority Mail (delivery in 2 or 3 days); for packages weighing 13 ounces or less, USPS First Class Mail shipping option is available, with delivery within 2 to 5 days. Tracking numbers will be sent via email by the USPS. For international shipments, the shipping options are First Class Mail International and Priority Mail International. According to the USPS, delivery time varies for First Class Mail International. Customers have provided feedback of delivery in 2 to 3 weeks typically, however some countries have slower delivery typically in 4 to 8 weeks. All international shipments will include Customs form 2976 filled out and attached, indicating the items are shipped marked as 'Commercial Sample' and country of origin, a detailed description of the contents, purchase cost, and HS Tariff #. There may be a delay in customs, and there may be customs duty due. Guarantee and Return Policy: At Henrietta's Handbags, we take pride in the quality and craftsmanship of all of our products. It is very important to us that you are both happy and 100% satisfied with any items purchased from us. Accordingly, if the product does not meet your expectations upon arrival, you have 7 days to return your unused merchandise for a prompt refund of the purchase price of the item, including any NC state taxes paid, but excluding the shipping fee. If you paid by credit card, then your card will be credited when Henrietta's Handbags has received and processed your return, typically, within three business days. Item(s) returned must be unused and in the same condition as received. Q. How much does it cost to ship? Our shopping cart has a built-in shipping calculator. Simply place the desired items into the shopping cart, then scroll down to the 'Estimate Shipping Costs' section, select/enter your delivery details, and click on the 'update' button. Shipping charges are dependent on the shipping weight of the items purchased. We accept MasterCard, VISA, American Express, and Discover credit cards, PayPal, and by money order (in U.S. dollars drawn on a U.S. bank). We do not accept C.O.D's. We also have an option in our shopping cart for telephone orders, but this is for USA customers only. We do not accept personal checks due to current bank practices of personal checks clearing in two to three weeks or longer. Q. How Do I find the handbag I am looking for on your site? There are several ways to find what you are looking - either use the navigation menu on the left and look for the handbag category that interests you, or use the search engine located on the right which is the most efficient if you know the name or SKU number of the product. 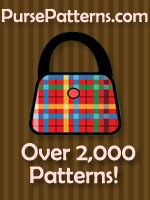 Simply put in the keywords of the handbag (example - parrot, leopard, chicken, etc.) you want in the text box and click "search". Q. How Do I place an order and check out? Add the desired product(s) to the shopping cart by entering quantity '1' and clicking on the 'add to cart' button. After you have placed the desired product(s) in the shopping cart, go to the shopping cart by clicking the 'shopping cart' link. If you wish to estimate the shipping costs, enter your shipping location and click on the 'update' button. To proceed with the order, click on the 'checkout >>' button. Enter your name, address, phone number, and email address, and then click on the 'continue' button. Scroll down and select the desired payment option, then click on the 'confirm order' button. Please wait for the order to complete processing, at which time an order number is assigned and displayed. Q. When I try to pay using my credit card, why do I receive a notification that the payment has been blocked? When paying by credit card, the billing address entered needs to match your credit card's billing address. This is a feature that is enabled to minimize the fraudulent use of credit cards. There is a separate shipping address field if you wish to ship to an address other than your billing address. No, Henrietta's Handbags does not sell wholesale at this time. Sales tax will be added to the purchase price only for delivery to residents of the state of North Carolina. Q. I did not receive confirmation of my order or when it will be shipped. Why not? An order confirmation email is sent immediately after an order is placed. You will also receive an e-mail when your order status is changed to shipped, and from USPS.com with your tracking number or customs number (for international shipments). Spam filters may block receipt of your notification e-mails. If you do not receive a confirmation email, please let us know by using the Contact US form. Q. Where are your handbags made? Most of our handbags come from India or China. Bags on our site that are handmade are either listed on the "handcrafted" page or have the words "handcrafted" in the title or description. Yes, we do ship internationally. The international shipping cost for handbags is based on weight. The shopping cart includes a shipping cost calculator (see the first FAQ above). All international shipments are subject to customs inspection and assessment of duties, taxes, and fees in accordance with your country's national laws. Customs duties and taxes are assessed, generally, if the item sent is dutiable and if the value of the item is above the threshold set by your country's laws. Check the Worlds Customs Organization Web site for general information, or visit the web site of that country's customs service. It is important to understand that, if duties and taxes are assessed on an item, they are collected from the recipient. Shipping and handling is charged to cover the cost of delivery only, and does not include charges assessed by customs in the destination country. A customs form will be filled out and attached to the outside of the package identifying the contents, cost, and country of origin, and marked as 'Commercial sample,' per USPS customs regulations. Q. What is the delivery time for international shipping? According to the USPS, delivery time varies for First Class Mail International. Our customers have provided feedback of delivery within 2 - 3 weeks typically; however, some deliveries are 4 to 8 weeks or longer. There are often unpredictable delays in some countries due to customs processing.